A nourishing eye cream for smoothing out those Fine Lines and reducing puffiness around the eyes. Our Total Eye Repair Formula is perfect for reducing the appearance of dark circles, and works well on all skin types. Believe us when we say, your eyes will see the difference. Featuring an unique combination or Hyaluronic Acid, essential oils and jojoba oil, our solution is guaranteed to reduce the markings around your eyes. The mixture works by reducing flaking and restoring the supple youthful look of the skin. Additionally, it helps absorb moisture which ultimately assists in the hydration of the dermis. Works almost instantaneously by penetrating the dermis in a near immediate fashion. 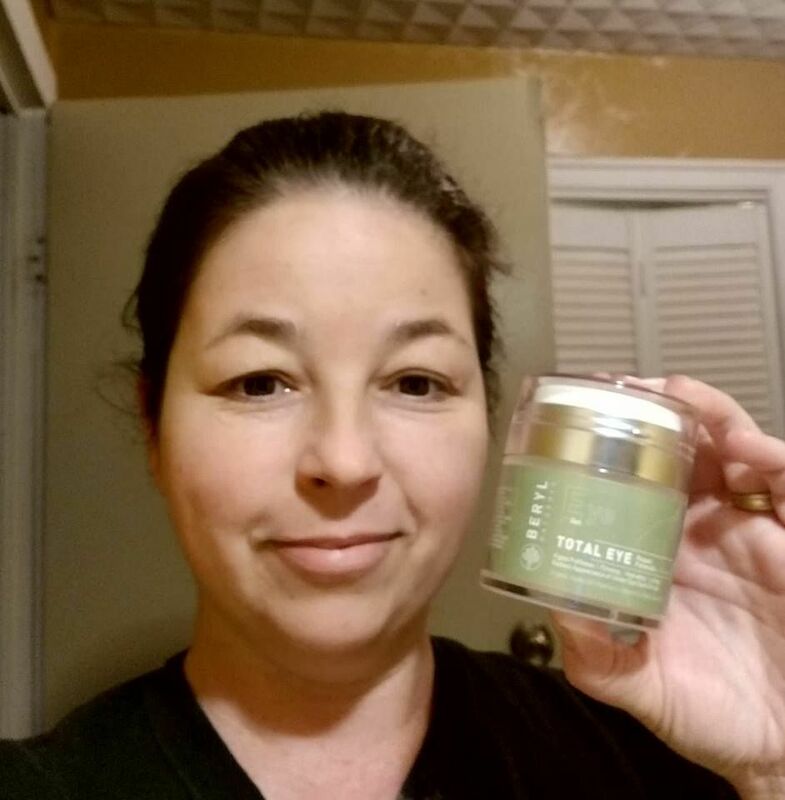 The effects work to instantly to brighten and awaken those tired eyes that come with a busy lifestyle. The results? A powerful and quick-acting formula that leaves your eyes looking younger and well-rested. The daily eye cream enriched by Hyaluronic Acid entraps moisture and ensures that it stays where it belongs by maximizing the effects of the cream on the skin. Featuring a plethora of health benefits and packed with soothing properties, Aloe Vera is a champion in the world of cosmetics. Aloe assists in the deep penetration of the dermis and adds to the moisturizing properties of the formula. Aloe has been known as a healing agent for generations and it can help treat itchiness, rashes, burns and redness. Additionally, Aloe will help boost the radiance and youthful appearance in your face. Our special formula is made to be non-greasy and can soothe even the most sensitive of skins. Furthermore, to ensure the safety of our clients, we guarantee our formula is free from any parabens, sulfates, and phthalates. Composed primarily of water, cucumbers are one of the most common natural components of cosmetics. Its mixture of Vitamin C and Caffeic Acid along with other trace minerals make it a powerful antioxidant make Cucumber a welcome addition to all sorts of anti-aging products. Our formula ensures you won't need to hit the kitchen, to put some cucumber in your eyes! No need to hit the field to find some dandelions we already did it for you. One of the oldest and famous healing salves, its been prized for generations as a remedy for burns and infections and we have added its juice to our recipe. Aloe can soothe all sorts of skin conditions and even provides a layer of protection against foreign elements such as fungi and bacteria. Aloe Vera is truly one of natures medicinal king. Grown in the vast fields of North America, Horsetail is a staple of American soil. Horsetail stands out by containing acids and silica in higher quantities than other herbs, it's also known for its penetrating capabilities, certain to reach deep within the dermis. Silica is a form of Silicon (not to be confused with Silicone) which is essential to a healthy lifestyle. Certainly, you could go out into the plains and grab some, but why go through all the trouble of learning chemistry to extract the minerals and acids, when our formula already did it for you? Periwinkle Herb, commonly known as rosy periwinkle has been used since the ancient era as a treatment for conditions such as diabetes. But, today we use it in cosmetics due to its high content of alkaloids which are famous for their medicinal properties. The plant extract can be used to treat numerous skin conditions such as dermatitis, acne, and eczema, additionally it can be applied to wasp stings for relief. Furthermore, it's known that Periwinkle can help reduce eye inflammation. You'll be seeing easy in no time with our Total Eye Formula. Known by its other name “sweet root” as it is 50 times sweeter than sugar, Licorice offers numerous benefits to the treatment of the skin. Licorice has been known to enhance other herbs, and even adds its own anti-inflammatory benefits to any solution. The natural healing properties of Licorice also include antiseptic, demulcent, and anti-inflammatory benefits that reduce inflammation, swelling, and redness. Note: Candy Licorice is not the same product nor will it result in the same effectiveness. REDUCES PUFFINESS, EYE BAGS & DARK CIRCLES with a powerful combination of hyaluronic acid, essential oils and jojoba oil. The deep nourishing, quick-absorbing formula delivers powerful results to leave your eye area looking younger and well-rested. Sinks in immediately to instantly brighten & awaken tired eyes. This daily eye cream, enriched with Hyaluronic Acid helps lock in the skin’s vital moisture. It also contains Aloe Vera to boost radiance and youth. A non-greasy formula, to soothe sensitive skin. Dab around eyes, forehead, and cheeks. Safe to use morning and night, all over the face, even under makeup. This is the fifth Beryl product I have tried, and as with the others I was pleased with the results. I like that the products cost a fraction of some comparable products out there, but I get the same results. The Eye Repair Formula has a very nice cucumber scent to it from the cucumber hydrosol. It has a nice cooling effect when applied, and my eye area feels refreshed and soft afterwards. I have only been using the product a couple of weeks and my skin already looks and feels more firm. If you have a problem getting the pump to work, try pressing down gently and slowly on the top of the jar a few times to prime it. I had a little trouble with this initially, but I do love that there is a pump, which allows a small amount to come out at a time. A little goes a long way. This is my second purchase. My wife liked the first product I purchased so much I decided to get this for her. She has had it for about four days now and is VERY impressed with it. She has seen some pretty dramatic results with it and said her friends at work even noticed. The best part, yet again it has all natural ingredients. 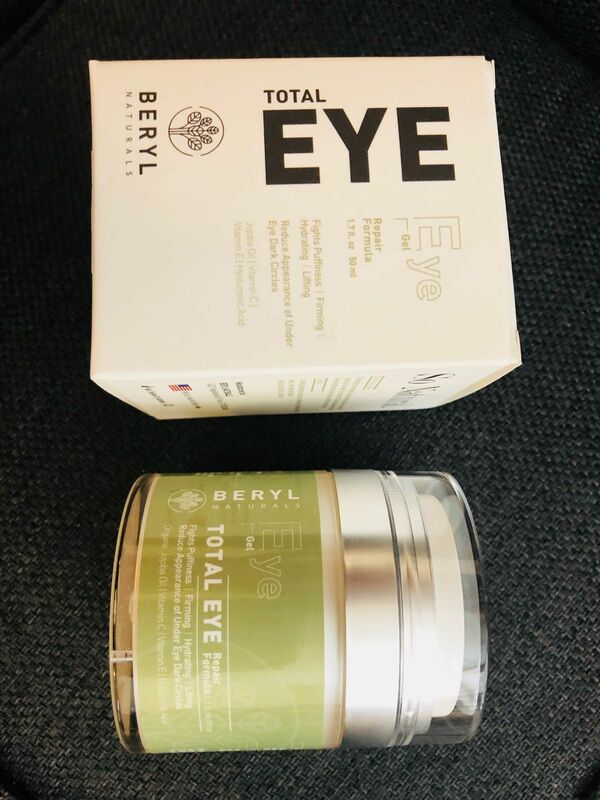 The total eye repair formula is seriously the best product ever! It fights puffiness & lifting reduce appearance of under eye dark circles! 10 YEARS YOUNGER IN TWO WEEKS IM LIVING PROOF! I ordered this product two weeks ago and it only took two days to ship. I must say I have never ordered a eye product that came in such a large package. There is a lot of product and it dispenses a perfect amount each time to cover your under eye and eye lid. Product smells and feels amazing and actually works wonders. Just take a look at my before and after pictures. This has only been two weeks and all I can say is I'm sold! I plan to to tell everyone I know that this has made me look 10 years younger!